The Marin County courthouse incident referred to in Mr. Roush's letter occurred on August 7, 1970, when African American radical Jonathan Jackson attempted to negotiate the freedom of the Soledad Brothers (which included his older brother George) by kidnapping Superior Court judge Harold Haley from the Marin County Civic Center in San Rafael, California. The resulting shootout left four men dead, including both Jackson and Judge Haley. Two others were wounded. After you read Roush's letter, scroll down and see who was featured on the September 11, 1970, cover of LIFE Magazine. 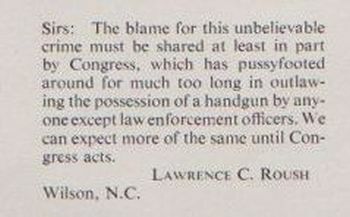 Sirs: The blame for this unbelievable crime must be shared at least in part by Congress, which has pussyfooted around for much too long in outlawing the possession of a handgun by anyone except law enforcement officers. We can expect more of the same until Congress acts. 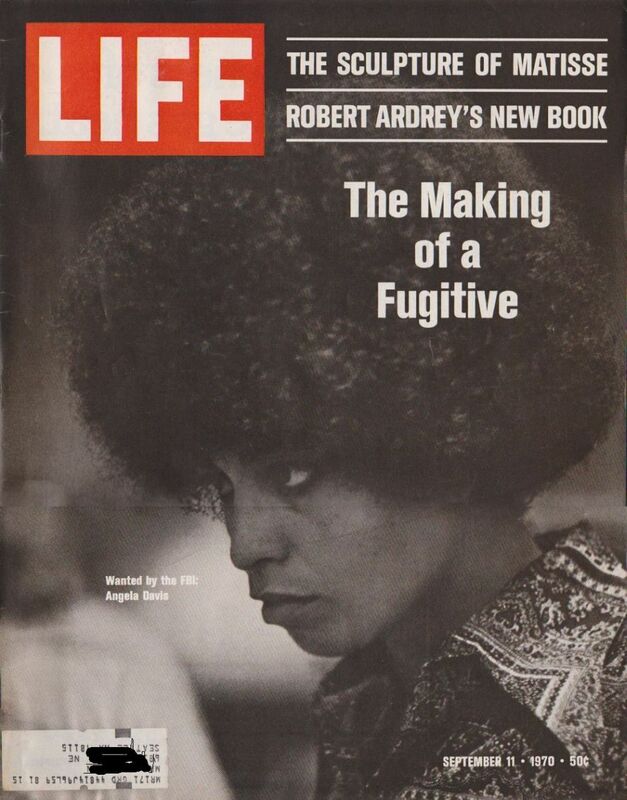 Life magazine for September 11, 1970, featuring Angela Davis. 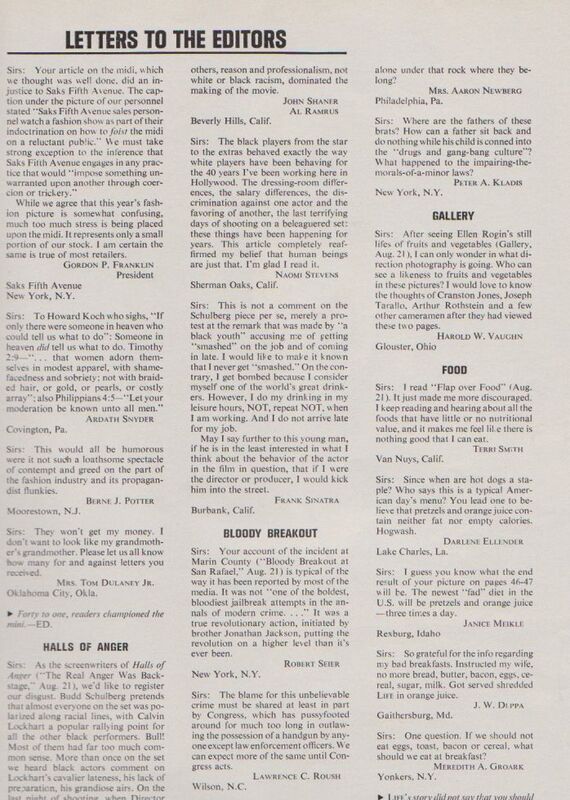 The scan is only three (of the 4 columns) of letters that were in this issue of LIFE, but Mr. Roush's is at the bottom of the center column.